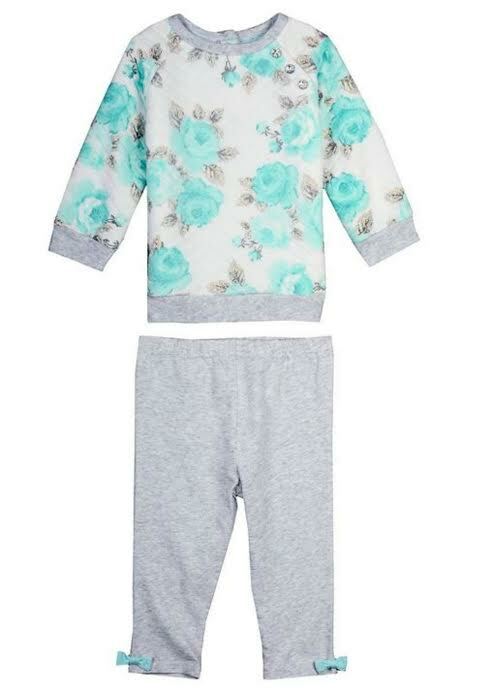 Precious Little Me infant baby girls knit pant set features pretty shades of aqua and heather grey. Quilted sweatshirt with rose design, heather grey trim and matching grey heather cotton spandex knit pants with rib cuffs. Machine wash. Cotton and spandex blend. Imported.